Have the Cosmos reached the limit of their universe? For those who love a random fact, if each of the five boroughs of New York City were a separate city, Brooklyn would rank as the third-most populous city in the whole of the United States, behind Los Angeles and Chicago, with over 2.6 million people within its borders. The second biggest borough is Queens. It was also the birth place of the credit card, the first US roller coaster and Brooklyn Beer. If you want (and can) live in New York then Brooklyn isn’t a bad spot, as my good friend Luge Pravda can testify. And testify he did as we headed back from a borefest at the MetLife Stadium where we had witnessed the LA Rams beat the New York Jets by 9 points to 6. It wasn’t proper football as the conversation went, highlighting our very British view about the game to try and get some audience participation on the train ride. Alas, everyone seemed to be in a degenerative state of boredom thanks to the last 3 hours of NFL. 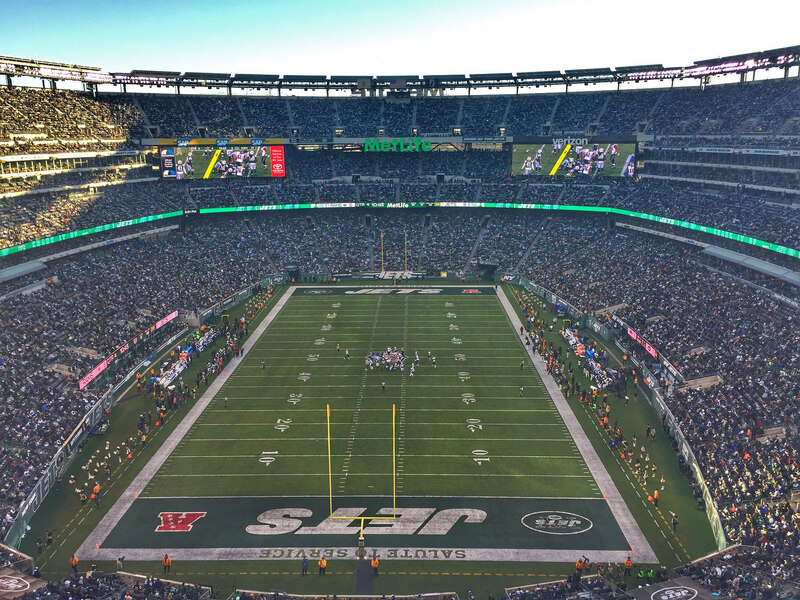 Whilst that may have been their weekend sporting highlight, we still had the prospect of watching the cumulation of the North American Soccer League season as the New York Cosmos faced Indy Eleven in very unfamiliar surroundings. At the start of the season all of the teams in the NASL had to submit venues for all potential dates including the play-offs. Unfortunately, Hofstra University, the normal home of the Cosmos, told them nearly a year ago that the stadium couldn’t be used in the second weekend in November. The club could have rented another suitable venue but it would have been on the off-chance of making the final. They couldn’t “wing it”. They had to submit firm details of a venue even though they had no idea whether they would need it. The club looked at a host of venues, including MCU Park, home of the Brooklyn Cyclones, which is rumoured to be the Cosmos’ next permanent home. However, they would have to cover up the Baseball diamond at a significant cost, so once again that venue was dismissed. There’s no news as to whether the club actually approached either the RedBulls to hire the RedBull Arena or New York City, although the costs of hiring the Yankee Stadium would have been prohibitive, as too would have been the Met Life, albeit being the spiritual home of the club. There was a last-ditch attempt to negotiate the use of Hofstra University again but even with the potential of midweek dates agreed between the play-off teams, the talks came to nothing and the only option the club had was Belson Stadium, a three sided university soccer field, built on top of a car park, which could only hold 2,600 fans, 30% less than the Cosmos’ average home attendance this season. Hardly the season finale they had planned. These factors all added up meaning that the venue was really unsuitable for the game, unwanted by the NASL and deeply unpopular with the fans of both teams. Oh, and a pain in the arse to get to, with no public transport in the vicinity, meaning everyone, which in our case, I, had to drive there. 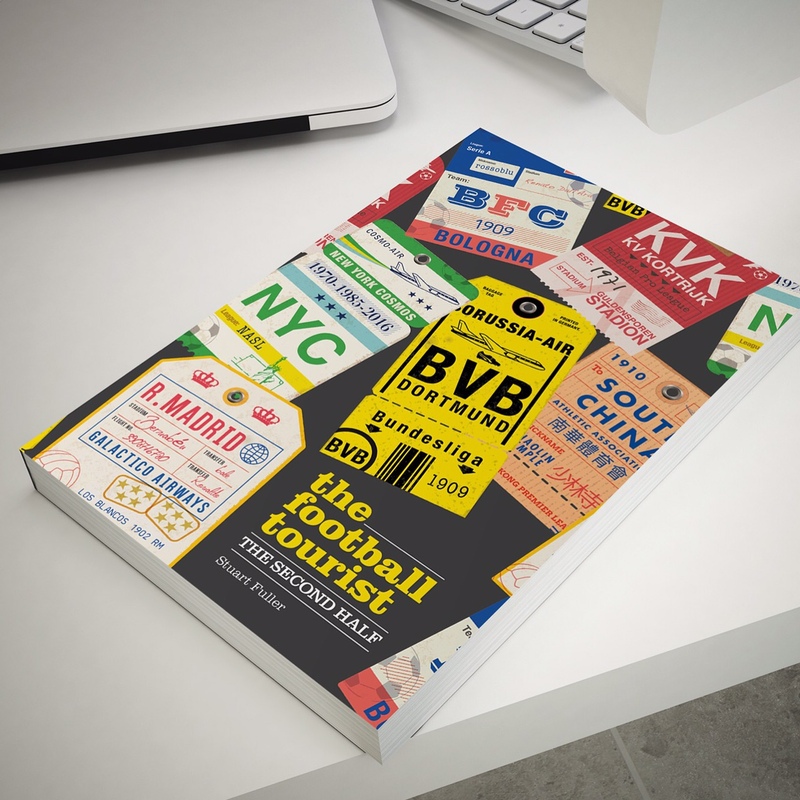 For those who have read The Football Tourist 2: The Second Half, you will be very familiar with the Cosmos story in the chapter “Twice in a Lifetime” – if not then I would thoroughly recommend buying it now otherwise the next bit won’t make any sense at all. It is quite scandalous how their heritage counted for nothing when the MLS were considering a second franchise in New York, and it appears that there is very little chance of them getting an opportunity to join the elite, any time soon. In February 2014, MLS commissioner Don Garber named three other markets as candidates for the final expansion team that would get the league’s stated 24-team target by 2020,, which did not include New York and on April 25, 2014, he told Associated Press’s sports editors that there would not be a third MLS team in New York, effectively ending any hope on the Cosmos gaining a place back at the top table, on merit rather than on politics, which essentially made the whole NASL Championship a little bit of an anti-climax. 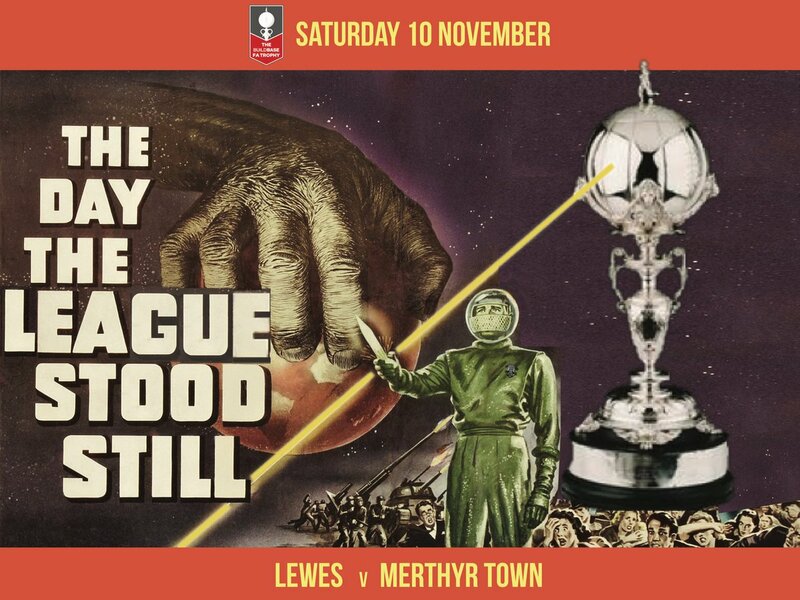 The Cosmos could win the league and the play-offs for the next decade and still not get a look in. Since my last visit in 2014 the Cosmos had been almost unstoppable. They finished the 2015 spring season unbeaten, finishing in first place, although the second half of the season saw them lose four times and finish in third place. However, they went on to win the Soccer Bowl, beating Ottawa Fury in from of a NASL record crowd of 10,166 at Hofstra. The game also marked the final career appearance of Spanish legend Raúl, who had chosen to age gracefully in New York, resisting the offers from the MLS to play with the Cosmos. They also reached the fifth round of the US Open cup in June 2015, losing to New York Red Bulls over in New Jersey, although in the previous round they did beat New York City 4-3 on penalties in front of 11,940, a record attendance at the James M. Shuart Stadium, a very bitter sweet moment considering the situation with the New York expansion franchise. This season has seen them go from strength to strength. Whilst the playing budget was cut, although most of that was down to the retirement of Raúl, they could still boast a squad of 12 different nationals. They finished the first half of the season in 2nd place behind Indy Eleven, although the two teams finished on the same number of points, the same number of goals scored and goals conceded, with the team from Indianapolis awarded the title based on their 2-1 victory over the Cosmos early in the season. However, in the fall season the Cosmos were dominant from game one, finishing 10 points clear of Indy Eleven in top spot. The play-offs went according to plan, with both the Cosmos and Indy Eleven winning with ease, interestingly in the case of New York in front of over 5,000 fans at Hofstra, setting up the fourth meeting between the two sides of the season. As we took our seats we could see and hear the two sets of fans at either end of the stadium trying to generate an atmosphere, which was tough considering the capacity for the 3-sided ground was just over 2,000. To our right were the Cosmos fans, made up of the Borough Boys, La Banda del Cosmos and The Cross Island Crew, whilst at the far end the travelling Indy Eleven fans made the noise. Even stevens on and off the pitch it seemed. It’s fair to say this wasn’t a classic. It seemed relatively obvious from early in the game that there was little between the two sides and the game would be decided by a moment of magic or madness. Alas, the game lacked examples of either and was finally decided by some poor penalty kicks by the visitors to give the Cosmos their third NASL Championship in the past four seasons. During the two hours of football there were only five shots on goal, although the away side came the closest to scoring in the ninety minutes when Nemanja Vuković broke down the left and his cross was met by the impressive Don Smart on the half-volley, which hit the bar and bounced to safety. Despite Cosmos having the most valuable player in the league in the form of Juan Arango, denoted by his Golden Ball award at half time, they created very little in the game. Full-time merged into extra-time with no real delineation between the stages of the game. By the time we got to half-time in extra-time it was blatantly obvious the game would be going to penalties. We did have some late drama when Arrieta crossed from the left to Diosa in the centre of the penalty area. His first touch escaped him, but Diosa stayed with the play, turned and hit a right-footed shot that just skipped wide of the near post. The final whistle put us out of our misery. Indy went first in the shootout and Nicki Paterson, a Scot who 16 games with Clyde no less, beat the Cosmos goalkeeper Jimmy Maurer with a shot inside the far post. Jairo Arrieta stepped up for the Cosmos and smacked his shot off the far post and in. The majority of the crowd gave a heavy breath out that was soon replaced by cheers as Eamon Zayed’s spot kick hit both posts and someone stayed out. Another Scot, former Elgin City star Adam Moffat coolly slotted the ball straight down the middle and the pressure was on Indy Eleven. In a somewhat surprising decision, veteran keeper Jon Busch stepped up but blazed the ball high and wide, almost handing the title on a plate (or in this instance a bowl), to the Cosmos. It was left to Ryan Ritcher to take the decisive penalty for the home side, making the final score 4-2. Cue the wild celebrations that included a flare or two being set off in the Cosmos fans, leading to panic among the Campus Police (really) who had never had to deal with such an event. On my last trip to see the Cosmos I said that I couldn’t see what the future holds for them, and two years down the road I still don’t understand where they can go next. They need to test themselves against better opposition each week, they need their own stadium so they can attract more commercial revenues and of course fans. Their “once in a lifetime” opportunity seems to have been and gone, so now they are most definitely a very big fish in a relatively small pond. Two weeks after the game came the news that the NASL may be no more and with it would go any opportunity for the Cosmos to carry on in their current form. This story may not end here and it is unlikely when it does to be a happy one. 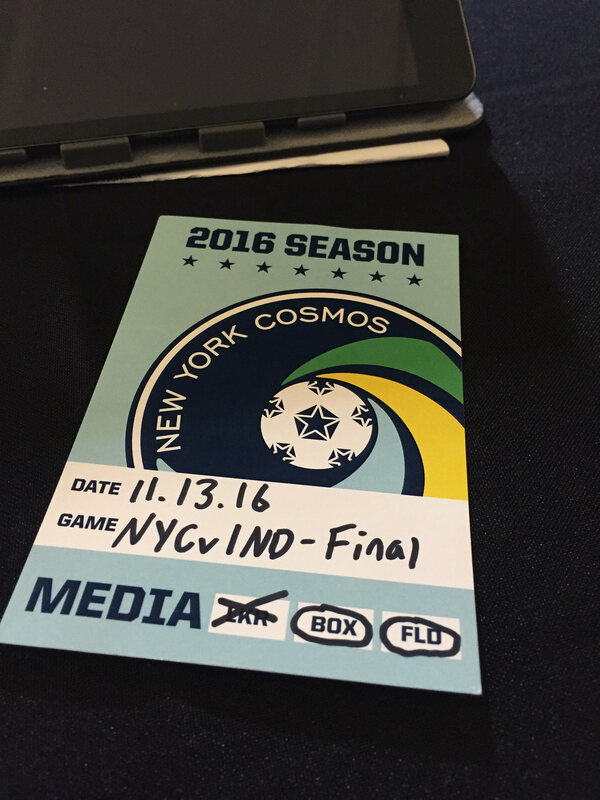 This entry was posted in US Football and tagged Indy Eleven, NASL, New York Cosmos, USA. Bookmark the permalink.